Now the ball is in your court. Only you can make the decision to change your career path and move ahead towards an exciting new future as a Century 21 John Anthony Real Estate Agent. This wonderful career allows you to work with a variety of people, learn more about your community and become an independent, successful sales representative for Century 21 John Anthony Real Estate. Providing tips to make their home more "sellable"
Century 21 John Anthony works with each Sales Associate on an individual level. We pride ourselves on offering our Sales Associates cutting-edge technology through the use of our web site, continuing education courses and workshops, and 100% administrative support and recognition. 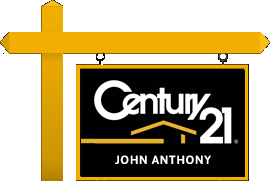 Century 21 John Anthony Sales Associates are the best in the business and it shows! If you would like more information on joining the Century 21 John Anthony Team, contact us at 732-906-2300 or click here to submit a request form for additional information.